GraphHopper proves useful in a variety of applications across different industries. With both our routing expertise and GraphHopper Directions API’s speed at your disposal, you’ll be equipped for success! 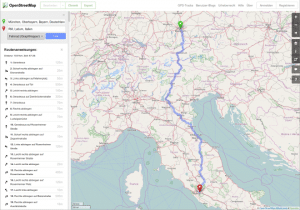 Bumbal’s route planning features route optimization provided by GraphHopper. 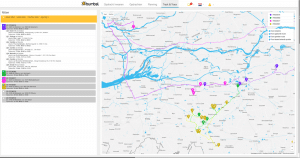 Bumbal is an easy-to-use transport software which specializes in arranging delivery and service appointments, route planning, and track & trace via a smartphone app. This makes it suitable for companies with their own fleets. Such companies typically specialize in home products and/or services, such as assembly, maintenance, and repair for furniture and appliances. Software solutions are also useful as a single add-on for logistics service providers, and can be linked to their transport management systems. GPSies was our very first user. The GPSies route planner allows users to share and create tracks for hiking and biking. It is the biggest German provider of its kind to date, serving over 150 000 requests per day, world-wide. We worked closely with the founder, Klaus, to replace their Google Maps API. 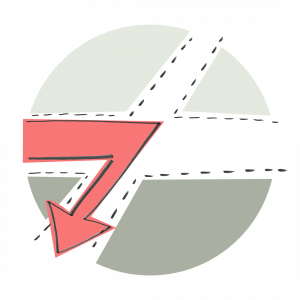 GPSies eventually moved away from a self-hosted GraphHopper to our Directions API, but our fast routing solutions remained cost-effective. Kurviger is a route planner for motorcyclists. It uses the GraphHopper Geocoding API to provide its users a simple way to enter their destination. The routing engine under the hood is a customized GraphHopper instance, optimized especially for motorcycles. The author is also a frequent contributor. We get a lot of value from OpenStreetMap–the data is incredible! The least we can do in return is to provide free access to our Directions API. The official website OpenStreetMap.org includes GraphHopper routing. Bikewithme is a free platform to plan, join and share bike rides. It is a non-profit initiative based on donations, aiming to become a reference platform for bikers around the world. It is currently available in two languages (English and Spanish). Cyclists can plan bike rides with OpenStreetMap-based maps using interface forked from the open source GraphHopper Maps. The GraphHopper Directions API provides the route, duration, and elevation profile.